We landed a good one here! Allan Becker is a smart man when it comes to gardening. From designing perrenial gardens to book reviews for Bookpleasures, he does it all... and knows it all. It's been a true pleasure getting to know Allan through his Blog and through email correspondance (the amazing power of the internet). Allan had an interesting and moving experience that "nudged" him into a love of gardening. As we read about this and other interesting facts about Allan himself, we'll also walk away learning more about perennials and why they are such a great choice for our gardens. With many more great facts to learn, read on and enjoy Allan's pure heart for Perennials and be captivated by his knowlege that permeates through his writing! If you'd like to find Allan's top reads (click here to read why he recommends them), then we've made it easy for you. The images and titles take you to the Amazon pages for each recommended book. 1. As a starter, can you tell our readers a little about yourself, your past, and even anything that's coming your way for the future? After graduating university, I spent 20 years working in product development for the domestic linen industry, followed by another 20 years as merchandiser for a women’s apparel business. When I retired, idleness was difficult to endure. That is when I decided to embark on a third career: designing gardens. This is a labor of love that I hope to continue doing as long as I can. 2. I read that you began gardening as a hobby while in your teenage years. Did you have a family member, life change, etc that might have influenced you to make that decision? On my 17th birthday, my family moved into a new home that had been landscaped with flowerbeds that were left bare. I volunteered to plant them because I was offered guidance by a neighbor who would introduce me to the world of perennial gardening. A strange thing occurred in the first season when the flowers began to bloom. I saw my father smile for the first time in my life. At that instant, I vowed to garden forever, if only to keep him smiling. 3. Your love for Perennial gardening is very apparent. Hoping that others, who lean toward Annuals, etc., might venture into the fun and beauty of Perennials, please share with us your reasoning for this passion. Perennials are a wiser investment in terms of money, time and energy. They endure in the garden for what seems to be a lifetime and re bloom reliably each season. 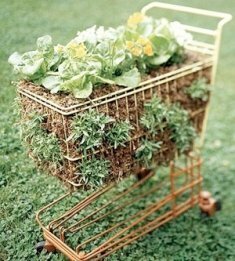 Most grow exponentially, so that gardeners on a budget can add more flowers to their garden simply by propagating what is already there. 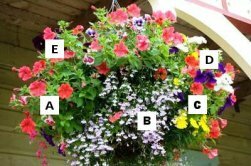 Annuals, on the other hand, require a new investment each season. 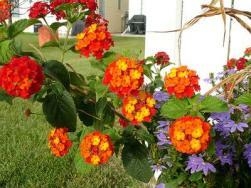 Perennials are more versatile; they integrate better than do annuals with ornamental shrubs and trees. 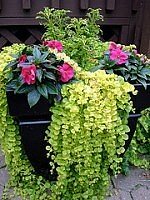 The visual and emotional synergy created by the combination of textures, colors, heights and foliage supplied by perennials cannot be achieved with annuals. A garden of annuals will photograph better, but it cannot touch the soul with the same intensity as a perennial garden can. However, annuals do play an important role. A perennial garden needs at least two to three years to produce continuous color all season long. Until that time, gardeners will use annuals to supply that color until the perennials are sufficiently robust to do so on their own. Furthermore, annuals are magical at tying together gardens whose final composition is incomplete or where temporary gaps in the garden design are unavoidable. 4. Are there any "fail-safe" Perennials that you could recommend to beginners who might be reading this interview and wishing to start a small Perennial garden? Click any of the links to read more, or buy his recommended easy-to-grow perennial plants. 5. Are Perennial gardens high maintenance? Perennial gardens used to be very high maintenance. 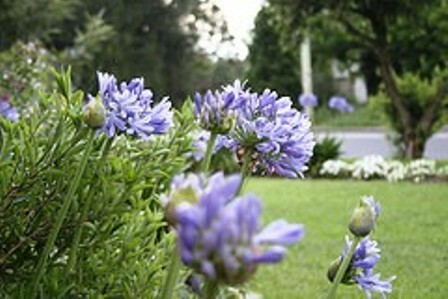 Then Tracy Di Sabato-Aust published a guide for choosing low maintenance plants. It is now possible to enjoy a perennial garden without doing too much work. More information about her book appears in the answer to question 7. 6. I saw on your blog that you did a Perennial project for your wife that included inspiration from a photo book of English gardens. Would you advise us to do the same? If so, what should we consider when planning a project such as this? Most of the English gardens are large estates spread over several acres, and cared for by a permanent staff of 6 to 12 gardeners. These parks were planned for aesthetic and architectural effect, with little attention paid to the cost of plants or the amount of labor needed to create and maintain them. Large acreage also allows the garden designer to create flowerbeds that run at right angle to the viewers' eyes. This creates depth perspectives that photograph amazingly well but that are impossible to duplicate on smaller properties. 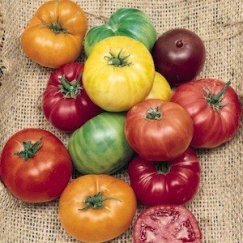 Gardeners that undertake such a project should use the combination of specific plants and colors in the picture books for inspiration, because, essentially, that is what makes those gardens English. 7. In closing Allan, since you do such a large quantity of book reviews, could you share your top three picks of Garden Books and maybe a line or two about each one? Digging Deep: Unearthing Your Creative Roots Through Gardening by Fran Sorin is a favorite. This author is the only garden expert that has successfully articulated the role that human nature plays in gardening. Believing that creativity is stored in all of us, she leads readers to recognize their inner selves. The results produce gardens that meet both deep-seated needs and practical requirements for outdoor living. The second book is 50 High-Impact, Low-Care Garden Plants by Tracy Disabato-Aust. This publication is a guide to creating awesome-looking gardens with minimal work. There are no false claims here. I have tested most of the 50 plants and they perform as promised. Best Borders by Tony Lord is the third book that I recommend. The purpose of this magnificently-illustrated publication of colorful flowerbeds is to inspire, to stimulate creativity and to encourage the gardener to experiment. This book has been in my collection for over 15 years and I return to it regularly to remind me that, in perennial flower gardening, almost anything is possible. Wow... if you're not ready to run out and plant perennials after listening to Allan, something's wrong! What a great guy! Don't forget to subscribe to Allan's blog. This can help you stay in touch and learn more form Allan. You won't want to miss a thing he has to say! Thanks again Garden Guru, for taking your very valuable time to talk with us and educate us on what should be one of every gardeners joys, Perennial Gardening.